There are few contemporary authors who have influenced the way I think about and live out my faith more than John Piper, I was therefore very excited to hear that he had written another book on the Bible—my favorite subject. In particular, Reading the Bible Supernaturally looks at how and why we read the Bible, a topic that has taken up most of my studies for the last 8 years. In what it does well, Reading the Bible Supernaturally excels. However, I walked away with the sense that it could have been 200 pages shorter and much more effective. Piper argues in the first part of the book that the ultimate goal of reading our Bible is “that God’s infinite worth and beauty would be exalted in the everlasting, white-hot worship of the blood-bought bride of Christ from every people, language, tribe, and nation” (e.g., 35). He unpacks each part of this goal to show how enjoying God’s glory and reading to do so is interwoven with every subsidiary goal of reading (e.g., for practice and doctrine). In the second part, he expounds the doctrine of illumination, how everyone who reads the Bible needs the supernatural power of God through the Holy Spirit to do so. The last part looks at the natural act of reading, looking first at strategies for reading supernaturally (prayer, humility, faith, etc. 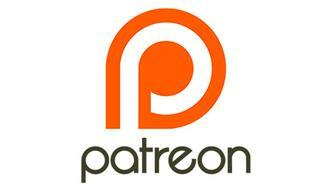 ), then what it means that the glory of God which we seek in Scripture is found through the meaning of the text—apparently conceived as singular propositional truth (though this is not made explicit)—and how to find this meaning.1 Each of these parts has an important contribution to make for the reader. Every Christian needs to hear the message of Part 1: we do not read Scripture merely for application or head knowledge but to savour God Himself—whether it is the life-giving savouring of encouragement or rebuke (pg. 103). The strongest part of Reading the Bible is this connection Piper draws between his Christian hedonism and the reading of Scripture. If the goal of all creation is the glory of God and God is most glorified when we are most satisfied in Him, then Scripture must have as its end the enjoyment of the creature in their Creator. Having shown in his previous book A Peculiar Glory that God’s glory is on display in Scripture, Piper shows that as we read our Bible’s well by the power of the Holy Spirit we behold God’s glory and are led to rejoice in Him. Our goal in reading ought, therefore, to be seeing and savouring the supreme worth and beauty of God. This insight is helpful not just for our personal reading but also for understanding the usefulness of all Scripture. We can see, for example, how every part of a book such as Isaiah is “profitable for teaching, for reproof, for correction, and for training in righteousness, that the man of God may be complete, equipped for every good work” (2 Tim 3:16-17, ESV). That is, considering practice and doctrine, Isaiah is highly repetitive. Even considering historical truth and insight into Israel’s history (which we could consider a subset of doctrine, the study of God’s redemptive history), Isaiah covers the same territory as the other books of the Old Testament and repeats its own themes constantly. From the perspective of practice and doctrine, we could probably suffice with 10 chapters of Isaiah. However, though many chapter contain the same insights into God’s character and the nature of His creation, each chapter presents these truths in different ways to lead us to savour and delight in the majesty and glory of our Holy God. Part 2 of Reading the Bible is, as far as this reviewer is aware and concerned, the best recent treatment of the doctrine of illumination and its role in the Christian’s reading of Scripture. If the goal of the Bible is “that God’s infinite worth and beauty would be exalted in the everlasting, white-hot worship of the blood-bought bride of Christ from every people, language, tribe, and nation,” and seeing God’s glory—the means by which this goal is accomplished—is “not merely with our ordinary physical eyes, but with ‘the eyes of [our] hearts’ (Eph. 1:18), and ‘comes from the Lord who is the Spirit (2 Cor. 3:18),’” it follows that “a proper reading of the Bible is a supernatural act” (181; 180, Emphasis in the original). 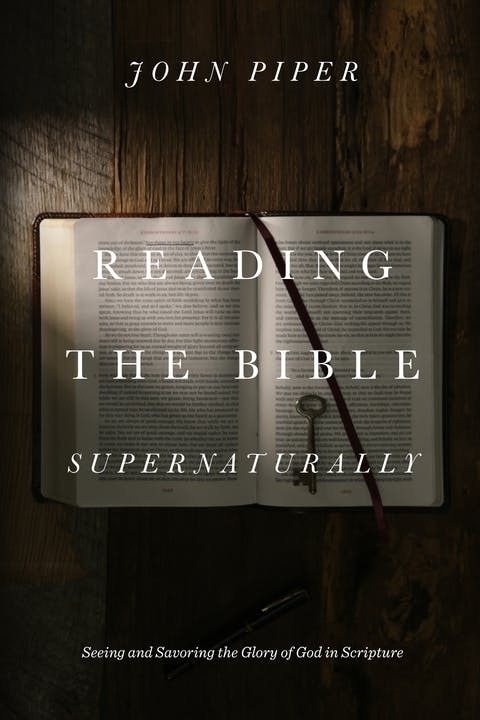 Part 3 concludes by unpacking our role in this supernatural act of reading, the “natural act of reading.” Piper repeats throughout the necessity of prayerful and faith-filled reading, a word all Christians reading their Bible need to hear. As for the physical act of reading, Piper highlights some resources that discuss the types of texts in the Bible (genres) and their impact on reading but focuses himself on a close, careful, and patient reading of the text. This is, again, a necessary word, one that many students coming out of Seminary need to hear. There is, therefore, great treasures to be mined in this book. The reader stands to gain much from Piper’s exposition; his argument is convincing and thoroughly biblical. I fear, however, that the book may miss those it stands to benefit the most. Piper has a gift of writing clearly; he writes how he preaches and so takes the time to expand, explain, and drive home his points. The negative side of this is that the resulting book is easy to read yet 393 pages (excluding the appendices), a length few who will benefit from his clear pastoral writing will find the time to dig through. Those of us who have the time and desire to mine large books will walk away thinking it could have been a lot shorter with more conservative prose. Others who tend to read large non-fiction books, such as scholars and students, will not find it “scholarly” enough. In addition to the book’s size, this reviewer also finds it lamentable that Piper seems to uphold a single-propositional view of textual meaning with its distinction between “meaning” and “significance” grounded in the author’s intention. In the way meaning is intended, the difference between these two terms in marginal and it is this reviewer’s private agenda to show that the standard evangelical view of a meaning is philosophically and biblically untenable, so I cannot quite support this definition.2 These qualifications none withstanding, Reading the Bible Supernaturally was personally edifying and is great resource for God’s people. I highly recommend it. 1 He relies on Hirsch’s account of meaning and seems to be holding the party line of evangelical grammatical-historical exegesis, both of which imply a view of meaning that sees a singular abstract meaning that is not equivalent to the words on the page but is equally expressible in translation and paraphrase. James Rutherford, “God’s Kingdom through His Priest-King: An Analysis of the Book of Samuel in Light of the Davidic Covenant” (ThM Thesis, Regent College, 2018).